Anytime I hear the word “nacho” I think of my dear friend, Steve P., and his silly joke. I’ll have to share the joke later, though, because right now I need to tell you about these Grilled Tequila Lime Chicken Nachos. Oh. My. Gosh!! I love grilled nachos and Grilled Tequila Lime Chicken Nachos are my ultimate favorite. If you love Applebee’s Fiesta Lime Chicken, you will love it just as much (if not more) made nacho-style. 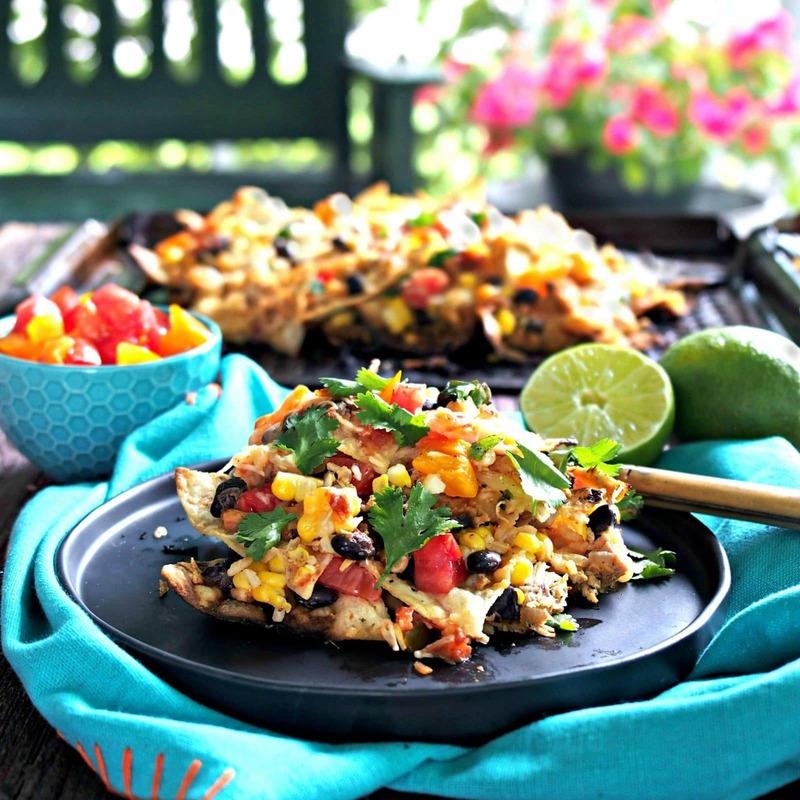 This dish is stacked with layers of flavors and textures – crunchy tortillas, summer tomatoes, corn cut-off-the-cob, fresh cilantro, grilled tequila lime chicken, black beans, spicy Mexican rice and ooey-gooey cheese – all of it infused with smoky goodness. The photo below shows the layering process. It is basically two layers of all ingredients beginning with Tostito-style chips and ending with cheese and fresh cilantro. 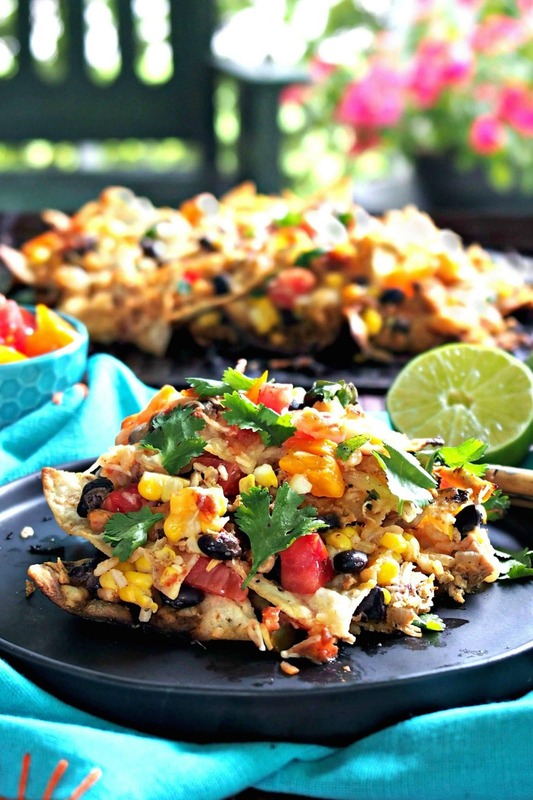 The first time I ate grilled nachos, I was surprised just how tasty they were and my first thought was, “Why haven’t I eaten these before?” Since then, I have made several varieties – all with great success. My daughter and I made two other flavor-filled versions (BBQ Chicken and Traditional Mexican-Style Chicken) for her blog, The Cookie Rookie, a couple of years ago. You can check out the recipes HERE. My husband, Jeff, and I have mastered the grilling technique. Once the coals are ready, place the coals on only one-half of the grill creating two cooking zones (direct & indirect heat). 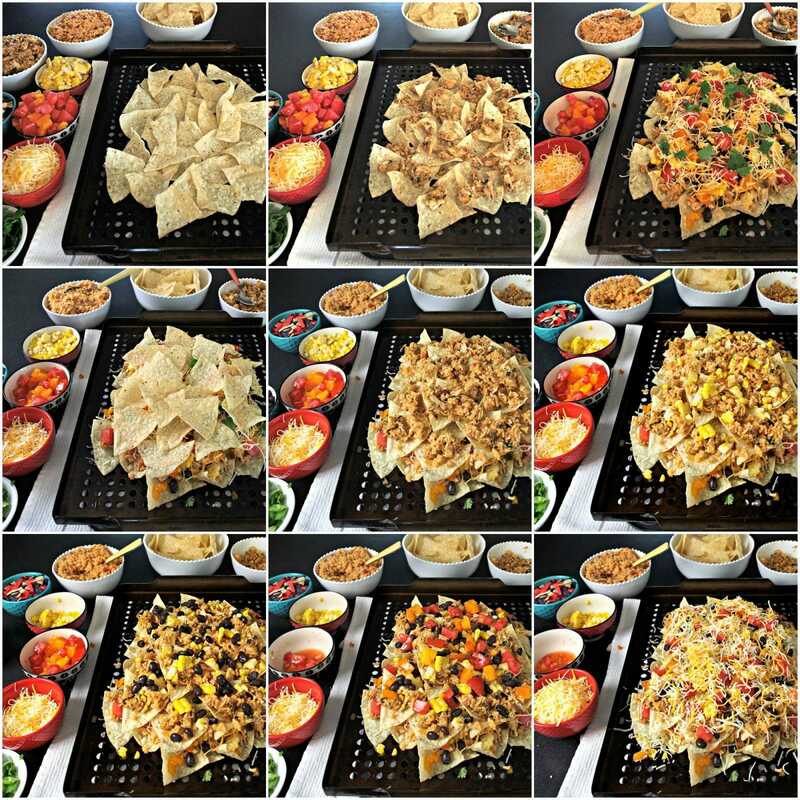 Please note – since taking the photos, we have perfected the cooking method and now place the pan of nachos over foil for a portion of the cooking time. This allows time for the nachos to heat thoroughly without burning. All the detailed instructions can be found below within the recipe. Now, it’s time to share the joke I mentioned in the first sentence. This is for you, Steve. It’s been too long, Steve. Come for a visit. 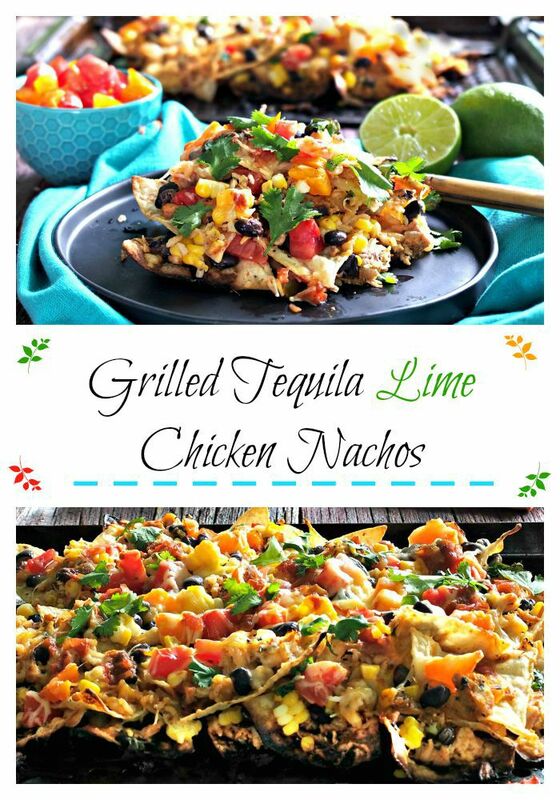 I’ll make Grilled Tequila Lime Chicken Nachos. I even promise I’ll share some cheddar cheese with you. 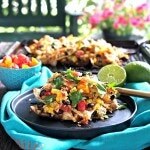 Grilled Nachos layered with quick Mexican Rice, beans, tequila-lime chicken, cheese, tomatoes and all things good. The best grilled nachos - ever! Note: There are several ingredients but not nearly as many as it seems. Both the Mexican Rice and the Tequila Lime Chicken mixture use the same seasonings and cheeses. For the rice: Prepare while coals are heating or can prepare up to two days before. For the Tequila Lime Chicken: Can prepare up to two days before. 1 cup diced rotisserie chicken 1 rotisserie chicken yields approximately 3 cups diced chicken. 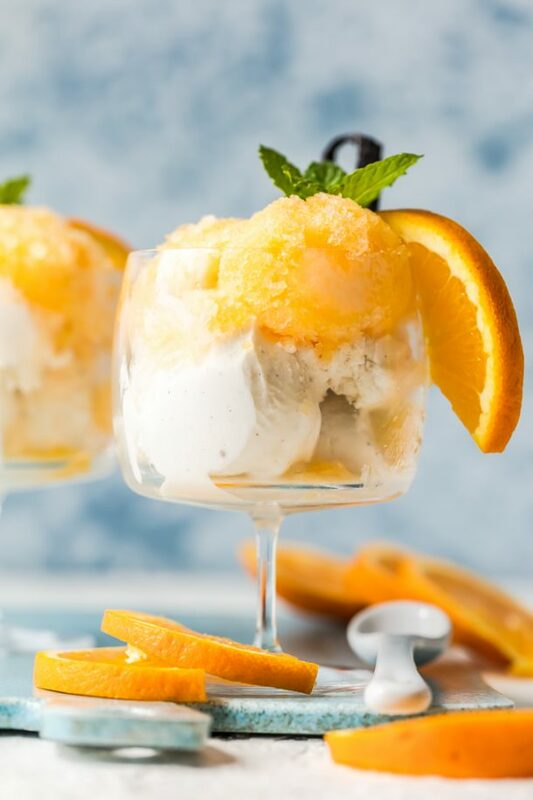 Use 1 cup and freeze any extra for later use. *See note. 1 ear corn-on-the-cob grilled and kernels removed or 1 can sweet corn, drained. Prepare grill. If using coals, place hot coals over only half of the grill to have two cooking zones - one with direct heat and one with indirect heat. Cook Minute Rice according to package directions for 2 cups rice. After rice is cooked, keep heat off and add all other ingredients. Mix well and set rice aside until ready to assemble the nachos. Heat butter and oil over med-high heat until hot, but don’t allow butter to burn. Add chopped onion and sauté 3-5 minutes until onion is translucent. Add minced garlic and sauté 1 minute more. Reduce heat and add diced chicken, lime juice, tequila, chili powder, cumin, smoky paprika, salt, ground pepper, honey. Stir and simmer until heated through and tequila/lime juice has reduced. Set aside. Place a layer of Tostito-style chips on a grill pan. Sprinkle layers of the chicken mixture, rice, beans, corn, cheese, cilantro and salsa (go light) on top. Repeat with a second layer. Place aluminum foil over the griddle over the indirect heat. Place the nachos over the foil, close the lid and cook 5 minutes. Spin the pan 180 degrees and cook another 5 minutes over the foil and with the lid closed. Remove the foil and cook nachos over indirect heat 10 more minutes - spin 180 degrees after 5 minutes. 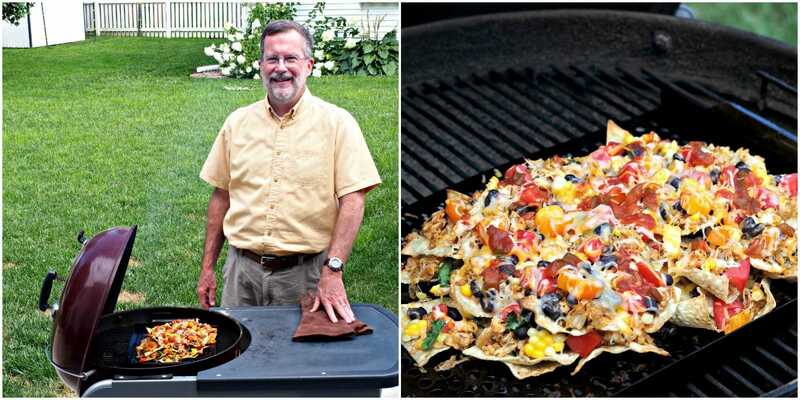 Place the pan of nachos over the direct heat and grill 1-2 minutes. Watch closely to prevent burning. If more time is needed for the center to heat, place the nachos over the indirect heat and check every 15 seconds until heated through. Remove from heat and serve with toppings of your choice. Note: 2 grilled chicken breasts, seasoned & cubed, can be substituted for the rotisserie chicken. *Note: Grilled Nachos are fantastic and cooking options are limited only by your imagination. Some of my favorites are: BBQ chicken, Buffalo Chicken, BBQ Pork, Fajita Nachos, Beef Taco Nachos, Chicken & Potato Nachos – the list goes on & on. This looks amazing and sounds wonderful. 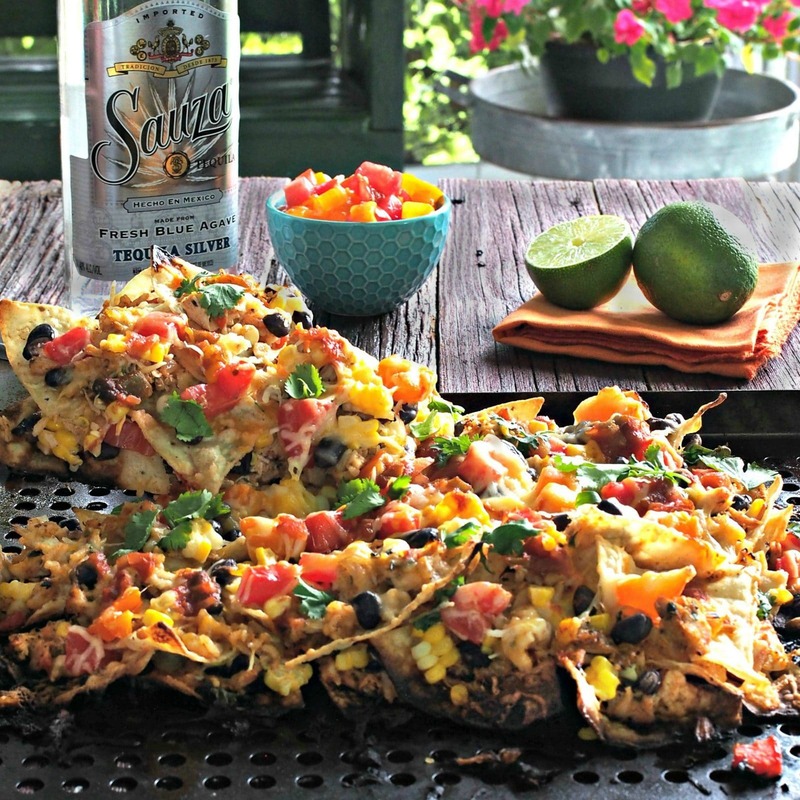 We love Nachos and what a diverse idea with the Tequila Lime and Chicken. The pics are great! Thanks Linda. I know you will love them. 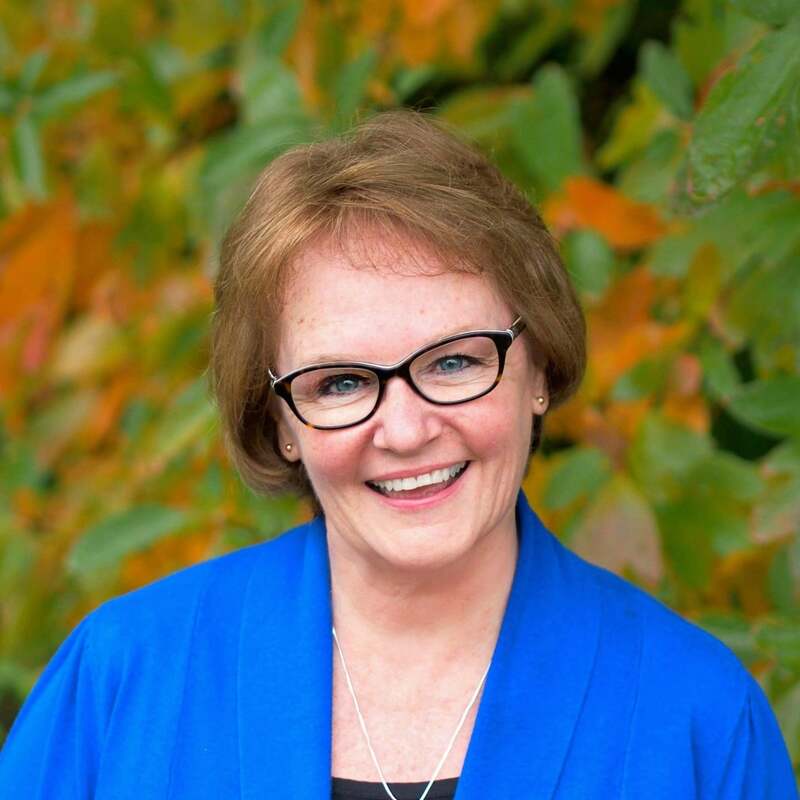 If you have any questions, just give me a call. 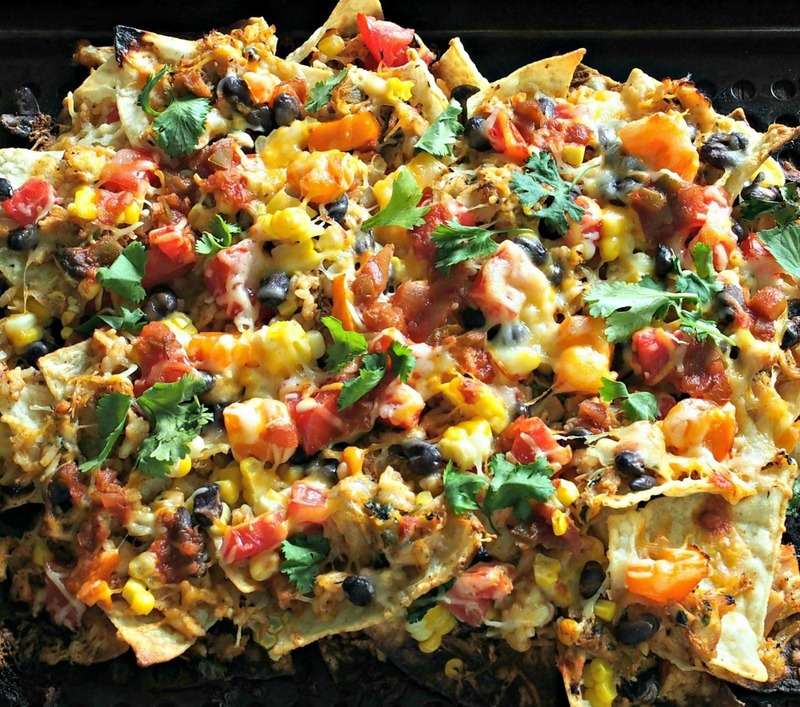 Love nachos, don't those look great!! Thank you Tara. It looks like things are going very well for you and your blog. I love seeing all your ideas and recipes. Thanks for taking the time to visit today. Wow, that promise would be difficult to keep, especially if cheese is anywhere near. I can only promise to try. Love you, too, and please, please come for a visit. We miss you.